IMPORTANT: If your business is incorporated (that is, your business name is followed by LTD, INC., or CO.), you need to file a T2: Corporation Income Tax Return which isn’t available in H&R Block’s Online or Download tax software. If this situation applies to you, click here to find the retail office closest to you. 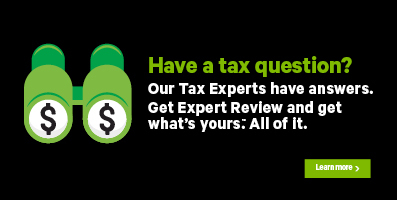 Our Tax Experts will be happy to help! Business income is income from any activity you do for a profit and includes sales, commissions, or fees. For example, income earned as a plumber is considered business income. Professional income is the same except that your income is from a profession that has a governing body. For example, professions like lawyers, professional engineers, doctors, and other health professionals are all governed by regulatory bodies. If you received business or professional income as a self-employed person, use form T2125: Statement of business or professional activities to report your income and expenses for the year. If you’re filing a Québec tax return, you’ll also have to complete a TP-80-V: Business or professional income and expenses in Québec form. Fortunately, the T2125 and TP-80-V forms are combined in H&R Block's tax software. You’ll need to complete a separate T2125 and/or TP-80 for each business and/or professional activity you have. If you are filing a T2125 form: Under the BUSINESS AND SELF-EMPLOYMENT INCOME section of the Employment and self-employment page, select the checkbox labelled Statement of business or professional activities (T2125), and click Continue. If you are filing a T2125/TP-80 form: Under the BUSINESS AND SELF-EMPLOYMENT INCOME section of the Employment and self-employment page, select the checkbox labelled Business or professional income and expenses (T2125/TP-80), and click Continue. When you arrive at the appropriate page in the software (either the T2125 or the T2125/TP-80), enter your information into the tax software. Click each heading for more details on completing each section of the T2125 and TP-80 (as applicable) page. Remember to enter information in all the fields that apply to your business. Fields with a red asterisk (*) are required fields. Note: Canadian residents outside of Québec, will not see fields from the TP-80 form. Information specific to Québec residents only is marked in the sections below with the symbol [QC]. Choose the industry code that most closely describes your main business activity*: If more than one code applies to your business, enter the one that most closely describes your main business activity. Click here for a complete list of industry codes. Typically, this is a period of 12 months, at the end of which the person carrying on the business prepares financial statements for the year. A fiscal period can’t be longer than 12 months but can be shorter in the year you started your business or ended it. [QC] If you’re a Québec resident, your fiscal period end date must be December 31. However, if you’re electing to change your fiscal year end to a date other than December 31 for your federal tax return, the election will also apply to your Québec return. Remember, the fiscal period end date for both your federal and Québec return must be the same. If your fiscal period doesn’t end on December 31, you’ll need to enter a few more details in this section in order to reconcile your business income with the calendar year. Your responses to the questions below will help personalize your T2125 (and TP-80, if applicable) page. Did this business have a debt or obligation? Or did you add cash/assets to the business, or use cash, assets, or services from the business for personal use? Your business might have assets (such as inventory, equipment, etc.) and liabilities (such as unpaid loans or wages, or interest payable). If so, select Yes to enter your business’ equity details. Did you earn income for this business from a webpage or website? Your business has income from webpages or websites if you sell goods or services through your business’ own webpage or website, on auction, marketplace or similar sites operated by others, or from advertising or traffic your site generates. Did you use a vehicle (car, station wagon, van, etc.) to earn income for this business? If you used your car for business and personal use, select Yes. You can deduct a portion of the expenses that you paid to earn business income. Do you have any home office expenses related to this business? If you used your home for business purposes, select Yes. You can deduct a portion of the expenses based on the amount of space used for your home office. Do you have furniture, equipment, or buildings related to this business? You might have bought property such as buildings, equipment, or furniture for your business in 2017. The cost of such property can’t be deducted in the year of purchase. However, as the property wears out over time, you can claim a portion of the cost each year. This deduction is called capital cost allowance (CCA). If you select Yes, enter details related to the property on the designated pages of the form. Important: If you’re a partner in a partnership that must file a partnership information return, don’t complete this page. Instead, complete the Partnership section of this page. What was the total amount of liabilities your business had at the end of its fiscal period? – These are the amounts your business owes. Business liabilities can include tax payable, notes, unpaid salaries or wages, interest payable, unpaid loans, etc. What was the total value of the drawings you made (including your salary)? – This is the total amount you withdrew in, cash, other assets, and services from your business during the year. What was the total amount of your capital contributions? - This is the amount of cash or other assets that were added to your business, including personal funds. [QC] What was the balance of your accounts receivable at the end of your fiscal period? - These are the outstanding amounts your business is to receive for its sales or services. [QC] What was the balance of your debts other than accounts receivable at the end of your fiscal period? - This is the total amount in loans and advances made to others (such as short-term advances given to staff), etc. [QC] What was the amount of your outstanding loans at the end of your fiscal period? This is the total amount in loans and advances made to others that are still outstanding at the end of the business year. [QC] Describe the inventory (goods) your business had at the end of its fiscal period - Enter a brief description of the type of inventory your business had at the end of the year. [QC] Where is your inventory located? - Enter the location (such as the business address, storage facility, etc.) where the inventory is located. [QC] What's the name of your creditor? – If you’ve leased the movable property or you took a loan to buy the movable property, enter the name of the company from which you’ve leased or borrowed money for this movable property. [QC] What's the book value of this property? – This is the amount you paid for the movable property. [QC] What's the name of your creditor? – If you took a loan to buy the immovable property, enter the name of the company from which you’ve borrowed money for this immovable property. [QC] What's the book value of this property? – This is the amount you paid for the immovable property. Your business number (9 digits) – Enter the 9-digit business number assigned to your partnership by the CRA. You can find this number on your T5013 slip. [QC] Your Revenu Québec identification number (14 digits) – Enter the identification assigned to your partnership by Revenu Québec. You can find this number on your RL-15 slip. Remember to include the GST/HST collected or that was collectible on your gross sales, commissions, or fees. Taxable gains you received from the sale of eligible capital property* - If you sold capital property that your business owned, and you realized a profit (capital gain), enter the profit amount here. The CRA says that if you own a business that has a fiscal year end other than December 31, you still have to report the sale of a capital property in the calendar year the sale took place. Amount of any returns, allowances, and discounts you included in your gross income - As a business owner, you might have to give the occasional discount on a bulk sale or an allowance to your customers for defective or improperly shipped goods and/or unsatisfactory services. You might even have had customers return goods to you that were purchased in error. Returns, allowances, and discounts are all adjustments to the sales amounts that reduce your gross income and are used to calculate your net business income for the year. If you haven’t already reduced your gross income by the amount of returns, allowances, and discounts you’ve issued for the year, enter this amount in the designated field of the Your business income section on the T2125/TP-80 page. Amount of GST and any provincial tax you collected or will collect on your sales, commissions, or fees (if you're using the quick method) – If you’re using the Quick Method way of GST/HST accounting, enter the GST/HST collected or that was collectible on your sales, commissions, or fees. Amount of GST and any provincial tax you remitted to the government (if you're using the quick method) - If you’re using the Quick Method way of GST/HST accounting, the rate at which you remit the GST/HST collected is different and depends on your province and the services or products sold. Enter the amount of GST/HST and provincial tax you submitted to the government. Amount of any reserves you deducted for this business in your 2016 return - Enter any reserves (such as an amount for a reserve, contingent account, or a sinking fund) that you deducted in the previous year. [QC] Other income shown on an RL-27 slip: If you received other income, such as contractual payments or subsidies, enter these amounts in this field. You can find the amount you received on your RL-27 slip. You can value each item individually either at its FMV or their cost, whichever is less. Cost is the price you incurred for an item and can include any expenses you might incur to bring the item to your business’ location. When you cannot tell the difference between one item and the next, you can then value the items as a group. Net amount you paid to purchase goods - The amount of your net purchases during the year are your total purchases minusany discounts you received. Value of your inventory at the end of your fiscal period - Using the same method to calculate your opening inventory, enter the closing value of the inventory here. Remember, this amount will be your next year’s opening inventory. Important: Starting March 21, 2017, professionals practicing business (such as accountants, dentists, doctors, lawyers) can no longer use the billed-basis method of accounting. Under billed-basis accounting, you can elect to exclude the value of work in progress of the business at the end of a tax year from business income for that year, and instead recognize the amounts in income only when the work is billed or billable. Refer to the Canada Revenue Agency (CRA) website for more information. Taxable gains you received from the sale of eligible capital property* - If you sold capital property that your business owned and realized a profit (capital gain), enter the profit amount here. The CRA says that if you own a business that has a fiscal year end other than December 31, you still have to report the sale of a capital property in the calendar year the sale took place. Amount of GST/HST and any provincial tax you collected or will collect on your sales, commissions, or fees (if you're using the quick method) – If you’re using the Quick Method way of GST/HST accounting, enter the GST/HST collected or that was collectible on your sales, commissions, or fees. Amount of GST/HST and QST tax you remitted to the government (if you're using the quick method) - Since you’re using the Quick Method way of GST/HST accounting, the rate at which you remit the GST/HST collected is different and depends on your province and the services or products sold. Enter the amount of GST/HST and provincial tax you submitted to the government. [QC] Value of goods/services not completed (work-in-progress) at the start of the business year – The value of work-in-progress at the start of the business year is the amount that you would’ve billed if the work was completed or the expenses you paid for the services you provided. [QC] Value of goods/services not completed (work-in-progress) at the end of the business year – The value of work-in-progress at the end of the business year is the amount that you would’ve billed for if the work was completed or the expenses you paid for the services you provided. You'll need to know the percentage of your business' gross income (from sales, advertising, etc.) that was from your business website or webpage. If you're not sure of the exact percentage, enter an estimate. Enter only the part of these costs that’s related to the business. Don't enter personal expenses. Advertising – If you paid for advertising costs to earn business income, you can deduct these expenses. Advertising costs can include ads in Canadian newspapers, Canadian television and radio stations, business cards, and any amounts paid as finder’s fees. Bad debts – A bad debt is money owed to your business that you can’t collect. You can deduct this amount if you’ve determined that an account receivable in the year is bad debt and you’ve already included that amount in the income for the year. Commercial insurance premiums – You can deduct commercial insurance costs you incurred on any buildings, machinery, and equipment that is used in your business. To deduct insurance costs for the business use of your motor vehicle, enter these on the Motor Vehicle section of the T2125/TP-80 page. Insurance costs for the business use of your home can be entered on the business-use-of-home expenses page. Interest paid on money you borrowed for the business – You can deduct interest paid on a loan borrowed for your business or to acquire property for business purposes. There might be limits on the amount of interest you can deduct on money borrowed to buy a vehicle or you can deduct on vacant land. Business tax, fees, licenses, dues, memberships and subscriptions – You can deduct annual license fees and business taxes you incurred to run your business, and annual dues or fees for membership in a trade or commercial association. Club memberships for the purpose of recreation are not claimable. Office expenses – You can deduct the cost of office supplies such as stationery, stamps, pens, etc. Expenses such as filing cabinets, chairs, desks, and calculators are capital items and can’t be claimed here; instead, claim these expenses in the CCA section. Supplies – You can deduct the cost of items your business used indirectly to provide goods or services. For example, if you’re operating a plumbing business, the cost of cleaning supplies can be deducted. Legal, accounting and other professional fees – You can deduct costs incurred for professional advice or services, consulting fees, including accounting and legal fees incurred to get advice and help with keeping your records. You can also deduct fees you incurred for preparing and filing your tax and GST/HST returns. Management and administration fees – You can deduct management and administration fees, and bank charges incurred to keep your business running. Don’t include rent paid, property taxes, or wages paid here. Rent - You can deduct rent paid for the property used in your business. Don’t enter rent related to the business use of your home here; instead, claim that on the business-use-of-home expenses. Maintenance and repairs – You can deduct the cost of minor repairs or maintenance done on the property used for business purposes. However, you can’t deduct the cost of your own labor, the costs that are capital in nature, or those that have been reimbursed by an insurance company. Salaries, wages, and benefits – Gross salaries and other benefits paid to employees can be deducted here. Click this link for information on what not to include in this field. Property taxes – You can deduct the property taxes you’ve paid for the property in your business. Don’t enter property taxes related to the business use of your home here; instead, claim them on the business-use-of-home expenses. Generally, a 50% limit applies to the cost of meals, beverages, and entertainment when you travel. Telephone and utilities – If you paid for expenses such as telephone, gas, electricity, and water to earn business income, you can deduct these costs. Utilities that are related to the business use of your home can’t be claimed here; instead, claim them on the business-use-of-home expenses. Fuel and lubrication – Enter the cost of fuel such as gas, motor oil, and lubricants used in your business. Delivery, freight, express and messenger services – You can deduct delivery, freight, and express costs you paid for business purposes. Allowance on capital property – You might have bought property for business purposes that does not physically exist (goodwill, licenses, franchises, etc.) but gives you a lasting economic benefit. The full cost of such property can’t be deducted but a portion of the cost can be deducted each year. Click here for more information. Unused home office expenses from a previous year - You might not have used all of your home office expenses last year to reduce your income tax payable. If that is the case, enter the amount from the Business-use-of-home expenses available to carry forward line on your 2016 T2125 form. [QC] Expenses carried forward from a previous year (line 534 on last year's form TP-80) - You might not have used all of your expenses last year to reduce your income tax payable. Your unused expenses amount can be found on line 534 of your preceding year’s TP-80 form. Home office expense - You can deduct a part of the following costs for the business use of your home. For all the expenses you entered above, how much of the total amount was for personal use only (for example, the parts of your home not used to earn income for your business). Enter a percentage. - To calculate the percentage you can deduct, use a basis such as the area of the work space divided by the total area of your home. Do you use part of your home to operate a private residential home, tourist home, bed and breakfast establishment, or participating establishment in a hospitality village? If you used part of your home to operate a private residential home, bed and breakfast, etc., the 50% limit for claiming business-use-of-home expenses does not apply. You can deduct motor vehicle expenses only when they’re reasonable and you have receipts to support them. To receive the full benefit of your claim for each vehicle, keep a record of the total kilometres you drive and the kilometres you drive to earn business income. Note: For each business trip, list the date, destination, purpose, and number of kilometres you drive. Record the odometer reading of each vehicle at the start and end of the fiscal period. Capital cost allowance (CCA) you’re claiming on a vehicle (depreciable property class 10 or 10.1) you used both personally and for business. If you used the vehicle only for your business, enter the CCA claim on the CCA page instead - Enter the CCA amount you want to claim this year that is equal to or less than the maximum claimable. Remember, the CCA amount will need to be prorated to reflect the frequency it was used during the year for business income. Is this vehicle a passenger vehicle? - A passenger vehicle is a motor vehicle that is designed to carry people on highways and streets. It seats a driver and no more than eight passengers. Most cars, station wagons, vans, and some pick-up trucks are passenger vehicles. The following are not considered passenger vehicles: ambulance, bus, taxi, fire emergency-response vehicles, etc. Enter the total amount of interest you either need to pay (accrual method) or you paid (cash method) on your loan in your 2017 fiscal period - The accrual method is one where you report your income or expenses in the fiscal period to which they apply, regardless of when you receive the income or paid the expenses. Generally, this is the method most commonly followed by self-employed individuals. In the cash method, you report income in the fiscal period you received it and deduct expenses in the fiscal period you paid them. You can’t deduct the cost of property such as furniture, equipment, or a building in the year of purchase. However, as such property wears out over time, you can deduct a portion of its cost each year (generally for as long as you own the property). This deduction is called capital cost allowance (CCA). Click this link for more information on CCA. Choose the class for your depreciable property - If you have assets of a business (buildings, equipment, vehicles, etc. ), you can claim a yearly deduction on the depreciation on the cost of these assets, also known as CCA. The amount of deduction or CCA you can claim for your depreciable property depends on the class that property belongs to and its CCA rate. Undepreciated capital cost (UCC) at the start of 2016 – UCC is equal to the total capital cost of all the depreciable property of the class minus the capital cost allowance (CCA) you claimed in previous years. Enter the UCC for each class at the end of last year. Skip this field if this is the first year you’re claiming CCA. Total cost of additions made to this class - If you purchased or made improvements to depreciable property in the year, the CRA considers these to be additions to the class in which the property belongs. Add the total business part of the cost you paid to buy or improve the properties that belong to the same class and enter it in this field. Click Add another class, to enter the cost of additions for a different class. Also, include any insurance proceeds for a property that was lost or destroyed that are more than the cost of the property, you will have a capital gain and possibly a recapture of CCA.